Pacific City, Oregon (November 20, 2018)—A toast to Belgian beer accolades! Pelican Brewing Company has received Gold, Silver and Bronze medals at the Brussels Beer Challenge. 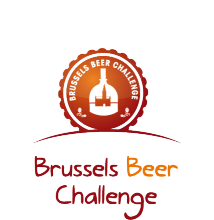 The international beer competition in Belgium provides a unique opportunity for beer producers to compete with the best international and Belgian brewers. Pelican dominated the barrel-aged catetory taking Gold for Captain of the Coast in the wood/barrel-aged less than 10 ABV, and Silver for Father of All Tsunamis for wood/barrel-aged higher than 10 ABV. Both Captain and Father were recently awarded Gold medals earlier this year at the Australian International Beer Awards. With the incredible success of its first barrel-aged barleywine, Mother of All Storms, Pelican expanded its series in 2016 with quarterly creations to delight fellow fanatics. Pelican’s popular Beak Bender Hoppinated IPA takes its first medal ever with a Gold in the Pacific IPA category. And the brewery’s flagship multi-award-winning, Kiwanda Cream Ale, scores yet another medal—a Bronze in the Kölsch division. Over three days, 90 international judges renowned for their beer tasting expertise convened in the historic brewery ‘Lamot’ in the historic center of Mechelen. Over 1,600 beers from across the globe were grouped by origin, style and typicity before being assessed by the panel of judges. After the three-day selection process, the finest beers were awarded Gold, Silver and Bronze medals for each category. This international competition gives all beer producers a unique benchmarking opportunity and brings them face to face with the finest brews on the planet.